Before Hyrule Warriors came out last Friday, I was talking to a friend about how I felt towards the series in general. I'm not going to lie, I never really found the Warriors series to be that fun. I totally enjoyed it and adored it in its own special way, but I never really had fun playing it. I remember during the last couple of weeks of summer when I was trying to hurry through my backlog, I started playing Warriors Orochi 3 Ultimate on the Wii U, and not one time during any of my playsessions did I actually have fun with the game. Instead, I just entered a kind of trance. I was incredibly relaxed. It was a wonderful way to unwind, certainly, and it killed time like nobody's business. But again, I never really felt like I was having any fun. 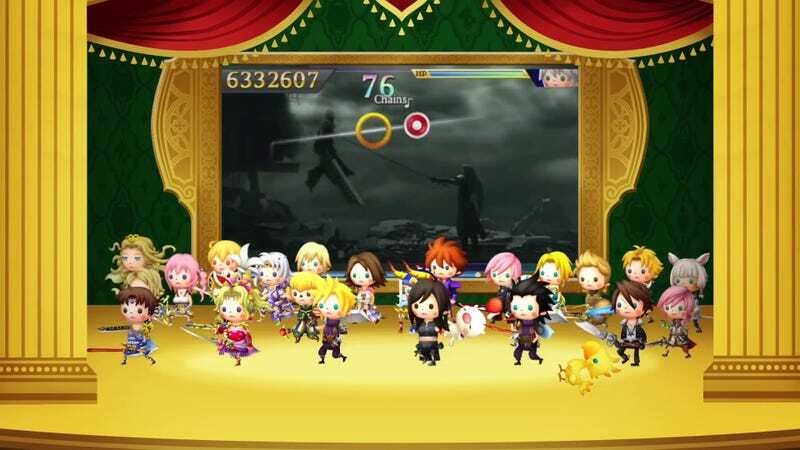 I had this same sort of feeling whenever I was playing Final Fantasy Theatrhythm—it wasn't too much fun for me in any sense, but every time I looked up, a good chunk of time had passed. And I felt so much better for having played that game, almost like it was refreshing to let my mind unwind and stretch its legs while I took random commands from a bunch of lines and circles. Are there any games, or activies in general, that fall into this category for you, TAYers? Are there any games, hobbies, or random events that you don't particularly get any enjoyment out of besides incredibly addicting relaxation? Talk about it in the comments below. Are you the kind of person to get enjoyment out of everything? Maybe you're just not interested in the topic? Well then, feel free to talk about life, love, gaming, or whatever else you desire. The Wednesday Graveyard Shift is now open!